A well known phrase, the eyes are windows to the soul, has an origin which remains disputed to this day. One interpretation states the metaphor is derived from Matthew 6:22-23 written around 60 CE, where the verse relates the eye to the state of its body, that if the eye is full of light than so too is the body. Another earlier source may have been Cicero's statement that the face is a picture of the mind as the eyes are its interpreter, a proverb quoted between sometime in the first century BCE. Both interpretations are similar in how they describe a distinct relationship between a person's eyes and body, and the link to a person's soul resides within. The eye's principal biological function as a sensory organ provides a visual representation of the outside world to the brain. Observing the immediate environment is crucial to survival to assess danger, determine the distance of objects, and help the body understand the impact of its movements. Yet for many thousands of years the eyes have also represented a deeper understanding of existence through spirituality. 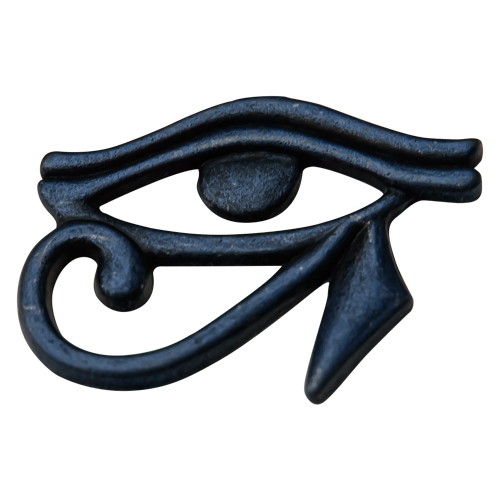 For example, the Egyptian Eye of Horus became a symbol of sacrifice, healing, and protection offered to a belated Osiris by his son Horus. Set, who entombed Osiris also gouged out Horus's left eye which was later returned and healed by Thoth. Egyptians did not believe eyes to be passive sensory organs, but instead associated them as a means of action, revenge, and protectionism. 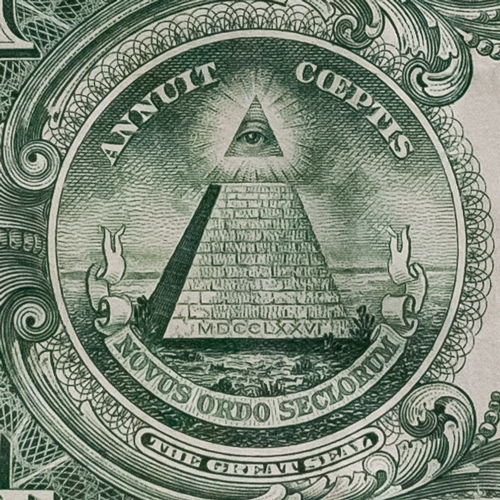 An equally, if not more famous eye which appears on currency in the western world, is the Eye of Providence. The image has many variations though it almost always depicts an eye at the center of a triangle with rays of light emanating outward. Imagery of the Eye of Providence first appeared during the Renaissance period as representative in the Christian Trinity, a few thousand years after Egyptians first recorded the Eye of Horus mythology. Some believe the Knights Templar adapted the eye's symbolism as sacred protectors of the church long before Freemason, Thomas Webb, published the Freemasons Monitor in 1797. 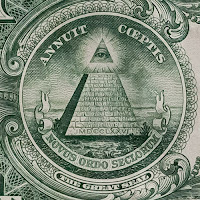 Correlation between Masonic symbolism and Freemason members of the United States, George Washington and Benjamin Franklin, demonstrates influence of the eye in the Great Seal. Masonic membership of Washington and Franklin has been verified by authentic portrait paintings depicting both founders of America in genuine Freemason ceremonial garb. The seal is stamped with the Roman numerals, MDCCLXXVI (1776 as the founding date of America), and the Latin phrase, Annuit Coeptis, Novus Ordo Seclorum. Latin phrases translate to: Providence Has Favored Our Undertakings, A New Order of the Ages. Providence, referring to the care of God, the one who sees all existence at the same moment in time. On the contrary to conspiracy theories, context second phrase does not refer or match the idea of a new world order, but instead a new sequence of generations under the Eye of Providence. Another well known, all-seeing eye, is the third eye of higher consciousness and expanded perception. The mind's eye is effectively an extra sensory organ usually pictured in its chakra location, in the middle of the forehead as a direct path toward the mind. In symmetry, a third eye creates an equilateral triangle, when connecting this eye to to those on either side of the nose. When thinking about higher consciousness, the third eye represents clairvoyance and an ability to see into the spiritual realm, which connects us to an existence beyond the flesh. The third eye is also representative of what human minds are able to visualize even with a lack of external stimulus which creates memorable imagery. New age scientific research theories suggest the mind's eye physically exists as the Pineal gland located inside the brain which remains dormant until elevated consciousness unlocks its ability.